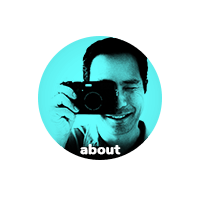 Tuesday, May 13th, 2014 Monday, June 6th, 2016 Food / I Like It / lolwut? 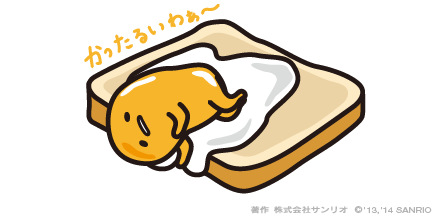 I just discovered the brilliant “Gudetama” (Lazy Egg) and he has become my new favorite character! He’s so lazy and kawaisou… I love it. I know what I am spending my money on when I visit Japan this summer. I thought the Sanrio character “Kirimi-chan” was okay, but there wasn’t anything really special about her. Sure, she’s a salmon filet, but I get the feeling she’s trying too hard. Perhaps it’s the pressure from Sanrio. I’m sure they can be pretty demanding, so I have to give her the benefit of the doubt. She’s probably a good kid. 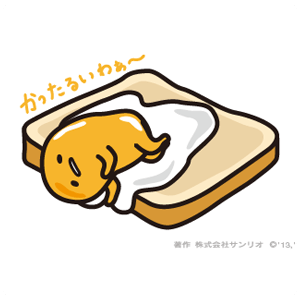 But Gudetama has a genuine personality that I don’t think Sanrio can pretty-up, no matter how much marketing they throw at it. It’s probably his down-to-earth qualities and sincerity that strike a chord with me; his lifestyle is one that I can really identify with. I want live my life like Gudetama! Japan might be the greatest place on Earth… Not just for stuff like this but it’s definitely on the list of reasons.